• An invitation for up to two representatives from the organization to attend a Together for Tomorrow related event in Washington, D.C. with the White House, the U.S. Department of Education, and the Corporation for National and Community Service. • Inclusion in the Together for Tomorrow online learning network. • National recognition as a school-community partnership working to raise student achievement in our lowest-performing schools. • There is no monetary value to this award. Challenging schools, national service programs, higher education institutions, and community and faith-based organizations to work together to propel improvement of our lowest-performing schools. The Together for Tomorrow School Improvement Challenge invites schools, national service programs, higher education institutions, and community-based organizations to work together to propel improvement of our lowest-performing schools. This Challenge is being run by the U.S. Department of Education and is for the 2012-2013 school year. Focus on the neediest schools. Focus on improving Priority Schools in your communities and their feeder schools. Priority Schools are the lowest-achieving schools in a State as identified by a State department of education. Invest in the capacity to work together. Strengthen the capacity to manage partnerships among Priority Schools, national service programs, higher education institutions, community-based organizations (both secular and faith-based), students, families, teachers, state and local governments, business, philanthropy, and others. Align efforts to key student outcomes. Focus community partnerships on boosting key measurable student outcomes –Attendance, Behavior, Course performance, and College access (the ABCs) as a means to improve the neediest schools. Local. Initiatives that are working on a community or regional level. Multisite. National, state, or regional efforts with multiple operating sites. Local initiatives that are a component of multisite efforts should apply together as one challenge entry. Upload the submission document by 10:00 p.m. EDT on June 29, 2012. Plans that are awarded recognition through the TFT Challenge will be asked to submit a brief report on their efforts at the end of the 2012-2013 school year. 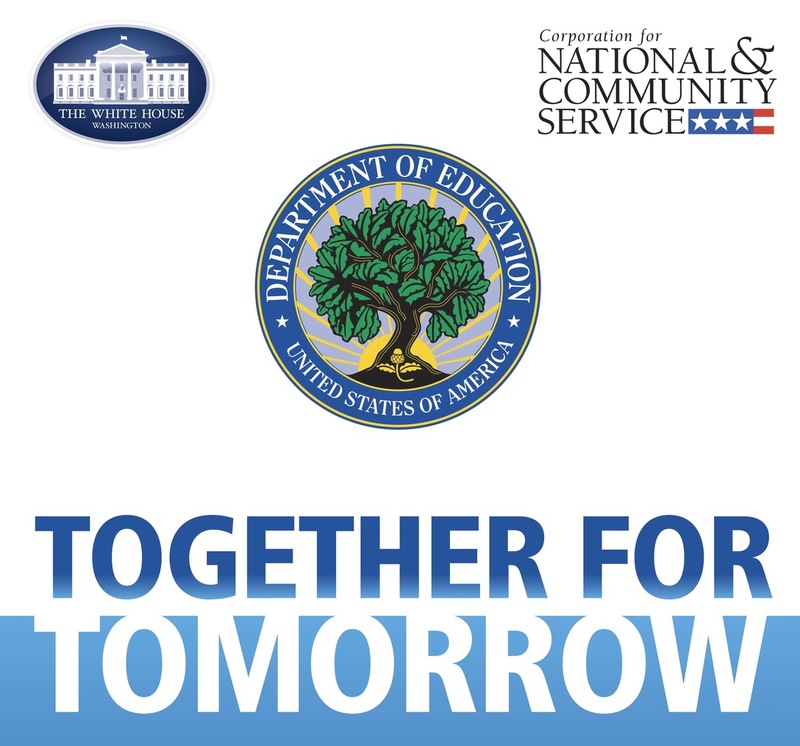 The Together for Tomorrow School Improvement Challenge will be judged by a panel of staff at the U.S. Department of Education, the Corporation for National and Community Service, and the White House. Articulates plans to celebrate and publicize TFT efforts and recognize the work of the TFT partners. Articulates plans to measure the effectiveness of the initiative and sustain the effort. Describes service activities and community resources that will be engaged to meet the needs of partner schools, and how service activities are informed by evidence-based effective practices. Articulates school and student needs at partner schools in all four of the following student outcome areas - attendance, behavior, course performance, college access; and uses student data to prioritize needs in each of these focus areas. Strengthens capacity to coordinate school-community partnerships, including dedicating staff and volunteers as partnership coordinators serving in low-performing schools. Focuses on the lowest-performing schools, and includes Priority Schools and their feeder schools. All applications will be reviewed to determine whether they meet the eligibility requirements.